Preview: Ransom returns for Season 2 with an explosive storyline | TV, eh? 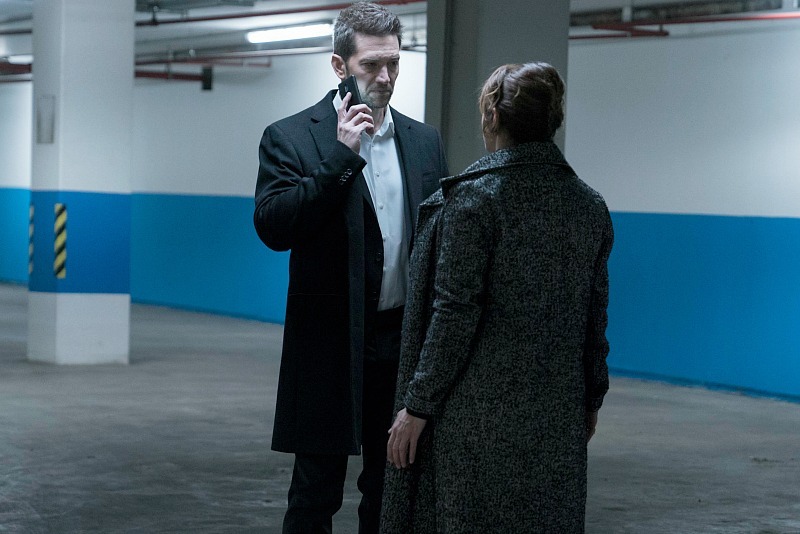 When we last left the Ransom team, Eric Beaumont’s (Luke Roberts) life was in shambles. His arch nemesis, Damien Delaine (Carlo Rota) had taken his daughter Evie (Jenessa Grant) hostage, leaving Eric unsure of what to do next. Season 2 of Ransom, returning Saturday at 8 p.m. ET/PT on Global, picks up with 13 new episodes right after that stunning cliffhanger, with Oliver (Brandon Jay McLaren), Maxine (Sarah Greene) and Zara (Nazneen Contractor) scrambling to help Eric out. Inspired by the professional experiences of real-life crisis negotiator Laurent Combalbert and his partner, Marwan Mery, Ransom‘s storylines travel the globe as the squad helps multinational corporations and governmental agencies with complex negotiations and conflict resolution. Created by David Vainola and Frank Spotnitz, the Canadian-Hungarian co-production staffs homegrown writers in Alison Lea Bingeman, Sandra Chwialkowska, Lynne Kamm, Steve Cochrane, Kyle Hart, Avrum Jacobson, Tamara Moulin and Vince Shiao. Here’s what we can tell you about Saturday’s return, “Three Wishes,” written by Frank Spotnitz and directed by James Genn. “Three Wishes” begins by going back almost two decades to show Eric’s origin story and introduce a key character in his life. It’s nice to see Eric at an earlier time and the charm that will make him so successful. As hinted at in the episode title, Delaine forces Eric to complete three challenges in order to win Evie back. Each task forces Eric to make tough choices and make ethically questionable decisions. After seeing Eric in control of situations most of the time, it is interesting to see him in distress and, sometimes, freaking the heck out. A kidnapped daughter will do that to a man. There are a few clunky moments of dialogue to establish the parameters for the main storyline so viewers get just how dire the situation is (no cops, Delaine is dangerous, everyone is scared, keeping to protocol), and I’m not sure they’re necessary. Still, it’s a minor quibble for a genre that does over-explanation all the time. I’ve been a fan of Carlo Rota way back when he hosted The Great Canadian Food Show, through Traders, Queer as Folk and Little Mosque on the Prairie. He’s pitch perfect as Delaine, a man on a mission of revenge and swaggering around telling Eric what to do. You want to punch him in the face but you also understand why he’s going what he is. That’s the mark of great acting. Also, a nod to James Genn who does a bang-up job directing some key scenes between Eric and Delaine. Ransom airs Saturdays at 8 p.m. ET/PT on Global. Any idea why the part of Evie was recast? I’m always a fan of Morgan Kohan getting more work, but I must confess to being curious.